Gramikro, Textile extrusion, Solutions | Contrex S.r.l. 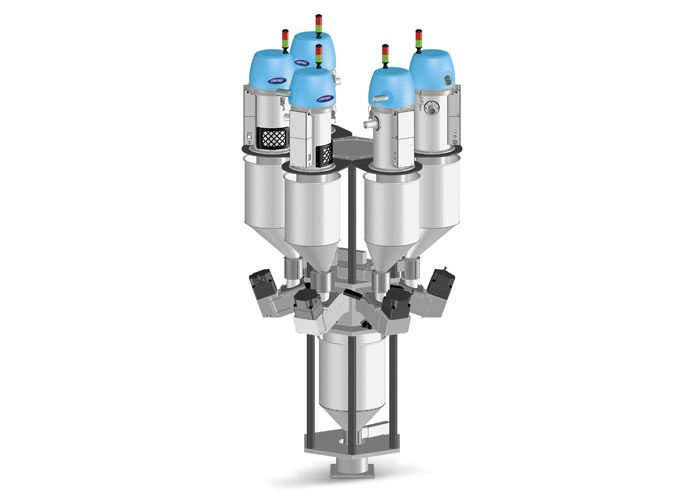 GRAMIKRO is a continuous loss-in-weight and multi-component dosing system designed for precise dosing in extrusion systems requiring regular flow and a constant blend. All connected components are based on a loss-in-weight principle and the dosing percentages further managed by the NAVIGATOR 9000 control. GRAMIKRO is compatible with starve feed extruders and features vibration immunity for installation directly on the extruder.